The San Diego Chargers suffered another loss on Saturday afternoon, as tight end Jeff Cumberland tore his achilles and will be out for the entire 2016 season. A six-year veteran entering his first year with the Chargers, Cumberland signed a one-year deal for $840,000 in April. Cumberland totaled 86 catches for 1119 yards and 10 touchdowns in his six seasons with the New York Jets. 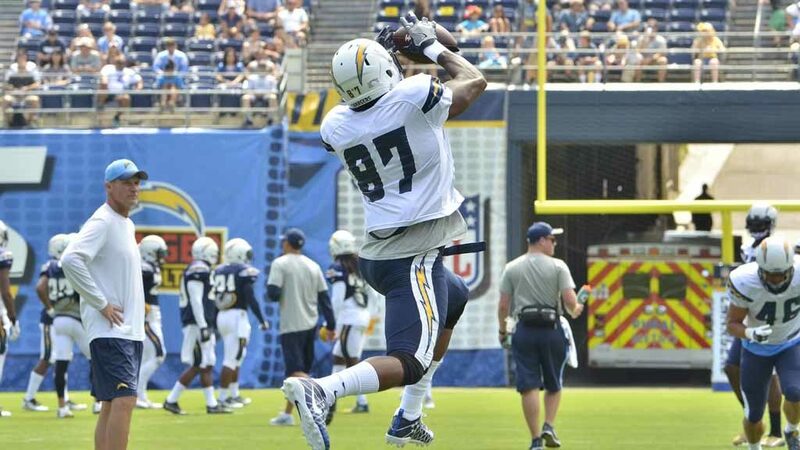 Cumberland was slated to replace Ladarius Green as the backup for veteran Antonio Gates, who is entering his 14th season. Gates played in a career-low 11 games in 2016, catching 56 passes for 630 yards and 5 touchdowns. Likely to take Cumberland’s place is second-round draft pick, tight end Hunter Henry from University of Arkansas. Henry has been compared by some scouts to Dallas Cowboys’ tight end Jason Witten. Cumberland’s injury follows the loss of wide receiver Stevie Johnson for all of 2016 with a torn meniscus, an injury he experienced during training camp.